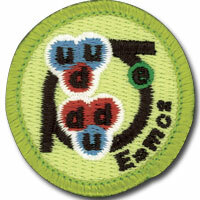 On March 28, 2015 we will be conducting a Nuclear Science Merit Badge Clinic. Nuclear science gives us a simple explanation of the natural world. The ultimate goal of nuclear science is to find out if there is one fundamental rule that explains how matter and forces interact. Earning the Nuclear Science merit badge is a chance for Scouts to learn about this exciting field at the cutting edge of science today. Complete Requirement 8 (fill out work worksheet). Clinic Starts promptly at 9:30 a.m., which means you need to arrive before then. Prior to arriving, please complete requirement 8 and fill the information into your worksheet. Requirement 8: Find out about three career opportunities in nuclear science that interest you. Pick one and find out the education, training, and experience required for this profession and discuss this with your counselor. Tell why this profession interests you. Where: Dennis Longnecker’s House. Promptly Starting at 9:30 a.m. and ending around 3 p.m.